There's taking place another round of delivering colleagues at my job and for some of them I'm busy making a little present. The first one is for a baby girl. 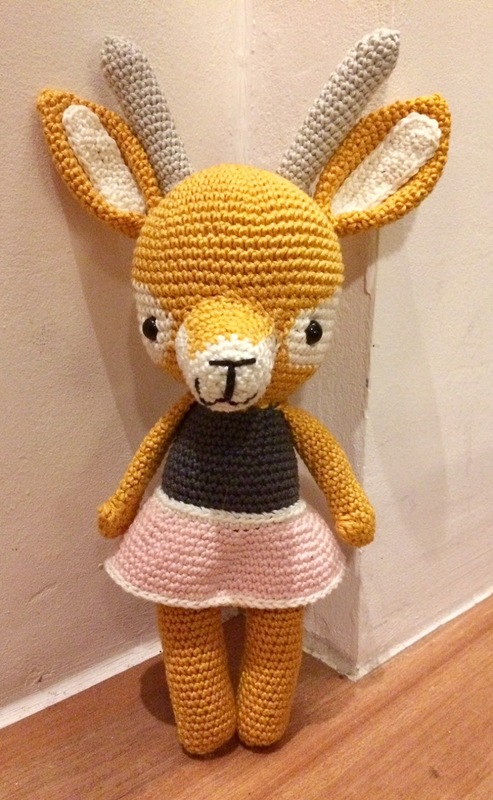 It's a gazelle that I named Gisèle, the third pattern I made from the book Pica Pau by Yan Schenkel. 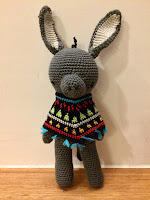 The Donkey with poncho (also made from the above mentioned book) was featured by Creative Jewish Mom and by Nifty Thrify Things! 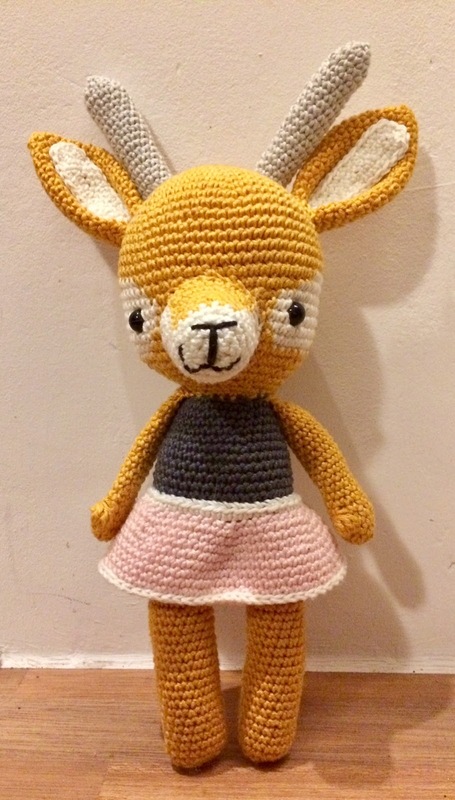 Gisele is adorable! Love her little pink skirt. Cute. Thanks for sharing at Home Sweet Home.